Sound (9.1/10) – It’s been more than two years since the release of VSonic’s original dynamic-driver flagship, and yet the aging GR07 is still a standard I hold all new dynamic-driver earphones against. I skipped over the second revision of the GR07 – the GR07 mkII – which is said to remain very true to the sound of the original with some minor tweaks here and there. The GR07 Bass Edition, however, turned out to be different enough to check out. The Bass Edition is advertised as having – surprise, surprise – more bass than the vanilla GR07. Comparing the Bass Edition to my two-year-old mkI GR07 unit presents far more similarities than differences, but the BE definitely does put more weight on the low end. Bass depth is good but the most noticeable change comes from the increased presence in the mid-bass region, which gives the BE a somewhat fuller, more impactful bass presentation. It still won’t do for proper bassheads, but those who found the original GR07 lacking slightly in the bass department but pleasant otherwise will be thrilled. The midrange of the BE is very similar to that of the original GR07 – what differences there are all stem from the more prominent bass, which upsets the bass-midrange balance slightly in favor of the low end and makes the midrange sound a touch more recessed. Aside from that, it’s still the good old GR07 – clear, detailed, and open-sounding. Compared to the less expensive GR06, the GR07 BE very obviously sounds clearer, more natural, and less congested despite the greater bass presence. Moving up into the treble, the GR07 BE again offers the familiar combination of energy and resolution. It’s very similar to my old GR07 here except a touch less sibilant, which is said to be the case for the GR07 mkII as well. The treble is still not as smooth as, for example, that of the Philips Fidelio S1 and S2 earphones but it’s definitely tolerable. The presentation, likewise, is largely unchanged compared to the original GR07, boasting good width and average depth for a spacious sound that is more distant compared to many other dynamic-driver earphones. As expected, instrumental separation is still good and the GR07 BE still provides crisp and detailed sound without sounding “analytical”. Value (9.5/10) – While it does not deviate from the feature set of the original GR07, the VSonic GR07 Bass Edition does deliver exactly what it promises – the clear, detailed sound of the popular GR07 with a bump in bass quantity. The bass boost is nothing drastic – bassheads will still find the GR07 BE lacking and fans of more balanced sound still won’t be offended by it. On balance, the more consumer-friendly signature is an asset precisely because the difference is mild enough to retain the strengths of the still-popular GR07. Those seeking a direct upgrade from the GR07 should look elsewhere but for everyone else the GR07 BE is among the most capable sets in its price range. Living in the fast-paced city of Los Angeles, ljokerl has been using portable audio gear to deal with lengthy commutes for the better part of a decade. He spends much of his time listening to music and occasionally writes portable audio reviews across several enthusiast sites, focusing mostly on in-ear earphones. Been reading your work for quite some time now and finally decided to ask for a recommendation. i have an LG G6+ solely for the ESS Sabre DAC feature. as per my own experience, lg g6 has very analytical sound with non existent bass and slightly more treble. i use two iem with it . Fiio F5 and Xiaomi triple driver pro HD (hybrids). i like fiio f5 sound better as it is much more full bodied then mi hybrids. i am looking for an upgrade from the fiio sound. tried fiio f9 pro but sounded harsh with lg. currently, i am looking into these models as Ali Express has a sale on them. I’ve had the GR07 BE ever since this review was published, and I love them to bits! Their sound is just perfect for me. In fact I’ve stopped reading IEM reviews since I felt I found the perfect IEM for me. I have an issue though: I think my ears are sensitive and I just can’t find any IEMs (or tips – I’ve tried many!) comfortable for long periods of time. They always get itchy and start annoying me after a while. So I’ve been thinking about getting customs, but I’m worried about spending allot of money and then not liking the sound signature. So I’ve considered buying a new pair of GR07 BE and putting them in a custom sleeve, but then I’m worried about the cable falling apart (hasn’t happened to me but seems like a common issue). What do you think? Do you reckon they are worth sleeving? Are there any customs that you could recommend as an upgrade? Thank you so much for your helpful reviews. Have been reading your reviews since I stumbled upon your site last year. And had bought the GR07 Be last December after reading your reviews and advice and really loved it’s clarity and sound stage. Unfortunately, I have lost the pair of gr07on a trip, would you advise if there are any models within $200 price range that are of similar or even an upgrade from gr07 be that will have at least equal or better clarity and a bit of bass, good mids. Thank you in advance. Personally I’d get another GR07, it’s really hard to beat if you like the type of bass-midrange balance it offers (I still use mine all the time). Plus, most models that I’d consider direct competitors have been discontinued, with newer value-for-money models in this price range mostly offering a different tonal balance. If you’re looking for a change you can try something like a 1MORE Triple Driver but personally I think it trades away a little too much clarity for its extra bass. And if you’re looking for an upgrade in at least one or two ways, you can look at used upper-tier hybrid earphones like the DUNU DN-2000 and FLC Technology FLC8. New they run $250+, used <$200 is not uncommon. I’ve been following you since a few years now. Infact started my audio journey in earnest through your mega IEM review page on HeadFi. Went through Gr02 Bass Edition, MH1C, VSD1/S and am currently on VSD3/S. Thank you for this. So here I am again. The VSD3S cable is giving way, as have all the Vsonic models I’ve had. I absolutely love them to bits. Their clarity, soundstage, instrument separation, everything. Now I have to move on, but I want atleast a bit more bass impact/punch, especially on the lower end, without losing on the other aspects. Only, and only because of that, I ruled out the GR07 Bass Editions. Can you recommend something? Till now I had shortlisted 1More Triple Drivers and RHA MA750s (~USD 100-150), but haven’t been able to fix on them, still researching further. Few details. I’m in India, use my OnePlus 3 phone as the source, though might go in for a portable amp if required. I primarily listen to Instrumentals (Thomas Bergersen, Ludovico Einaudi, Hans Zimmer), Acoustic/Vocal/House/Trance, and bits of Alternative Rock, Pop, and R&B as well, pretty much all over the place. Your inputs are highly valued and appreciated! After the VSD3S those might not do it for you on the clarity and realism front. VSD3S is already pretty near the top of the <$100 bracket, so it doesn't leave a whole lot of room for improvement. While the 1MORE and MA750 do have more bass, there's a bit of a quantity over quality thing going on with them compared to the VSD3S and especially the GR07 BE. If your budget is strict I guess I'd go with the 1MORE Triple over the MA750 - it's more of a compromise rather than a straight up "warm and bassy" sound signature. Just be prepared that some of its bass will bleed up into the mids, which something you're not used to coming from VSonics. If we interpret your budget more loosely there might be room for something like a used DUNU DN-2000, which I've seen for $160 or so. These have more deep bass than a VSD3 while also improving on the clarity. I still think VSonic's tone is more natural than that of DUNU hybrids, but technically something like the DN-2000 is much more of a step up from the VSD3. By the looks of things, I guess it doesn’t make sense to spend three times as much for 1More/RHA if they’re not really an upgrade from the VSD3S. But moving from VSD3S to GR07 BE, would that lead to a loss in overall bass as well? Asking so that I can make up my mind, whether to order another VSD3S, or spend more for the GR07 BE. Also, will adding a portable DAC/AMP, like Audioquest Dragonfly Black to my phone make a huge difference with either VSD3S or GR07 BE? Will probably order a GR02 BE with whichever of the above I order, most probably. Though it’s the same price as the new VSD1S, not sure which will be better. GR07 BE is pretty competitive with the VSD3S in bass response, I doubt you will find it lacking. Don’t think you need an amp for it, at this level it’s better to spend on the headphones itself than other parts of the chain. GR02 BE will sound quite unrefined and boomy coming from VSD-series earphones, I wouldn’t bother. I recently heard that Vsonic is releasing a 2017 version of GR07 Bass Edition. And if so, did you get to try the newest version? Hey Joker, thanks so much for what you do! I recently fell in love with the Sony MDR V6 and was looking for an IEM that had a similar sound signature (somewhat analytical but also fun, i.e. natural if not somewhat boosted bass, balanced and perhaps slightly recessed mids and detailed highs). Would the GR07 BE be the right IEM for me? Its so confusing, there are so many different models of gr07. Gr07 classic, bass, new classic, new bass, bass edition with detachable cables, gr07x… I have no idea what to buy next if my gr07be broke or something. By the way i really wonder those $1000 iems really worth it. I have gr07 be and its best ever i own. I never tried more expensive stuff. I saw you recommend flc8s which is about $350, for an upgrade but what about those 1k iems? I bought gr07be as your recommendation and pretty happy with it, but these damn curiosity. Thanks again great site, great work. First of all, I would like to say that your site has been really helpful to me. I have been using your list as my reference for a long time and your reviews are always accurate! So, I am looking for a new IEM. My current one is Xiaomi’s Piston 3, and I bought with full confidence after looking at your review. I liked the character of the sound Piston 3 offers. But now I want to buy a new one, and I’m stuck between VSonic GR07 BE, 1MORE Triple Driver E1001, and RHA MA750. Can you please give me your recommendation? Which one do you prefer the most among those three? I prefer the GR07, but it really depends on what you’re after because the three IEMs you’re looking at fall on different points along the sound signature spectrum – the MA750 the most warm, bassy, and smooth, the 1MORE in the middle, and the GR07 (even the BE) as the flattest and most accurate, with the least warm tone. I would say Piston 3 falls closest to the 1MORE, and sits between the 1MORE and the GR07 on the spectrum I mentioned above. So if you’re looking for a straight up Piston upgrade, the 1MORE is the best option, if you’re looking to move in a more warm and smooth direction – the MA750. And if you’re seeking a flatter/clearer sound – the GR07. Thank you very much for your advice! I think I’m gonna go with GR07. I bought gr07 bass last month, and after spending a month with it, i concluded that it is too bass shy for my taste. I believe using gr07B, bass quantity is compromised too much over clarity. Please suggest me what to do, as i spent $100+ on it. I guess do what we all do – sell it and move on to something that better suits your taste? True. Willing to sell it in $85, if someone interested. Any plans to review the GR07X in the near future? As a big fan on the GR07 BE sound signature, I am very perplexed to know if the GR07X is a direct upgrade to it. Hi, another fan of GR07 BE here. I am really wondering GR07X too. A GR07X review and comparison would be fantastic. Hello! For 2 years im using se215, they are good, but what i dont like: too much bass(seems like chant or mumble) and big, “fat”, too long(1.6m) cable. Im searching for something with over-the-ear wear style. Im interesting in gr07be, but the question is: im listening music from my phone(oneplus x) so will I feel the difference from this gr07be and any other cheap iems? May be because of bad source i didnt like se215, and dont need to upgrade? found vsonic vsd5s, what do you think about them? It’s not your source, the GR07 and SE215 will sound very different out of a modern Android phone. The SE215 has more bass (and sloppier, too) and significantly more rolled-off treble. All VSonic IEMs from the VSD and GR07 series sound similar to each other with minor performance and sound tuning differences. I still think the GR07/GR07 BE are the most successful in terms of overall performance, but at their respective price points you can’t really go wrong with any of these newer VSonic IEMs. Since you’re not completely sure about the direction you want to go from your SE215, an argument can be made for picking up one of the less pricy VSonics. Thank for your reply. Ordered vsd5s for 65$ from China. Seems to be almost the same, but like more the new style. Hi, I just wanted to say that I hate analytic sound, which doesn’t please my ears. But I do love the details. A little warm sound, with clear mids and highs that doesn’t feel harsh to my ears would be my choice. At least somewhat good isolation is important. 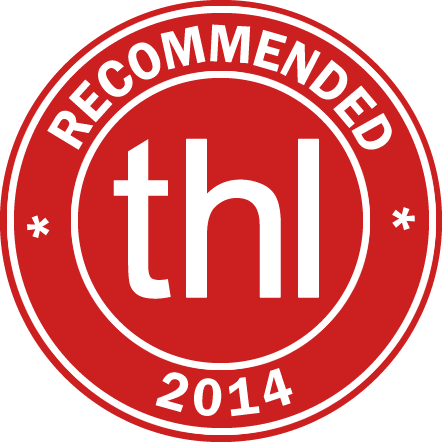 what would be your recommendation? I would recommend the RHA MA750 (more balanced sound, a little less isolation) or Yamaha EPH-100 (bassier/warmer sound, bit better isolation). Definitely not the GR07 as it can be a little harsh/sibilant. GR07 (even the BE) is not really the answer if you want anything approaching the bass boost of a Piston 2. However, keep in mind that the bass enhancement is one of the reasons you aren’t getting the mids coming through very strong in the Piston 2, so it may be worthwhile to give up some of that bass quantity for a more prominent midrange. Still, GR07 also differs from the Piston 2 in other ways that make it difficult to consider it a direct upgrade from the Pistons – it is not nearly as smooth, for example, and doesn’t have the warm tone of the Xiaomi. I want to say the MA750 from RHA would be a better option than the GR07 BE – it’s a little warmer in tone and more similar to the Piston 2 in terms of bass quantity, but with a better bass-midrange balance overall. It does still have more upper midrange than the Piston 2, but the overall effect on sound isn’t as great as with GR07. It’s something of a middle ground between the Piston 2 and GR07 BE, if that makes sense. Hi joker! Been lurking around here for awhile and was wondering how does this compare to the ad01 in terms of bass reponse and clarity? Which would you recommend me if i want both good bass and clarity? Thanks!! A little background of myself, I usually listen to the billboard 100’s ,edm and some acoustic music. I am also an amatuer and this will be my second pair of iems. The first pair i had was the r6i and i quite liked it but i lost em 🙁 . Im open to suggestions and would like you to recommend some to me(doesnt have to be similar to the r6i). Best if it is $100 and below however, if the difference if huge and it is a better bang for the buck, i dont mind paying a little extra. Once again thank you! It’s the usual tradeoff – AD01 has a little more bass and less clarity, GR07 BE the opposite. I’m not familiar with the R6i but based on my experience with other Klipsch IEMs I’d say there’s a good chance that both the AD01 and GR07 BE are somewhat light on bass in comparison. This would make the AD01 the middle point/compromise and the “safer” choice of the two, if that makes sense. This is based on a generalization and my gut feel, but I do also think the AD01 works well for your genres. Sure, I recommend the MA750 all the time. Usually when I get requests for warmer/bassier IEMs, as you said, but it does work quite well for EDM in my opinion. It’s significantly less neutral than the GR07 BE, but not sure where it falls in relation to the R6i. So deciding question.. if i were to increase my budget by abit and get the RHA MA750 will it be a very big difference to the ad01? Also open to any recommendations as im an amatuer and not sure of what sound signature i like yet. Cheers man! I’d probably go with the MA750 all things considered. It would help to know what your Klipsch sounds like to be more certain but generally speaking the MA750 is an extremely versatile IEM with very “likable” sound signature. Isolation is good for everyday use, maybe a little lacking for in-flight wear. One thing for sure is that the Klipsch have a punchy bass which i seem to like alot, however, these seem to sound very bad with acoustic music, as the clarity and sound stage isnt quite there. These are all my views and i might be wrong since its a long time since i listened to em. I would like to have around the same quantity of bass and of course not sacrificing to much of the mids and making the vocals sound muddy. I have also heard that some people found the 750s to be lacking in bass is that true? Once again thank you so much!! Found out that the dunu titan 1 and dunu 1000 are around the same price as the ad01 and rha 750. So once again do you think the dunus will suit my likings? The Titan 1 has bass quantity similar to the GR07, so it would be also an odd choice if you’re worried that the significantly more bass-heavy MA750 or AD01 may not have enough bass for you. The DN-1000 is fairly v-shaped, comparable to the MA750 in bass quantity but also brighter and not as smooth. Great combination of clarity and bass but I probably wouldn’t risk it if I didn’t know for sure that I liked a v-shaped sound. So after reading what i feel about the r6i what do you think would be better for me? Your description makes the R6 sound like their old S4, in which case I’d go with the MA750 to get the extra soundstage and smoother, more natural sound. In terms of bass? From what i feel the r6i has pretty deep bass do you think the 750 will satisfy? Does the 750 provide better clarity as well? Most of the time id be listening to edm and billboard 100 the acoustic music id say maybe only 20~30% of the time. Do you think I should risk some bass and go for the 750 which has better soundstage? P.S sorry for asking so many questions! Have already done my best by helping you promote the site through social media! There’s just no way I can provide such specific comparisons with an earphone I haven’t tried – I’m really just weighing the MA750 against the other alternatives that have been discussed and it’s coming out on top (again, based partly on guesswork and gut feel). Hey, have you listened to VSD5? How do they compare against GR07 Bass Edition? Listened to it briefly so far, I still prefer the GR07 BE. It has more of a deep bass focus while the VSD5 seems to be a little more mid-bass oriented. Overall bass depth is better on the BE and the high end is a little less energetic compared to the VSD5. so, as a fan of a heavy music (metalcore-like genres) i should stick up ti a gr07 bass as I can see? It’s the one I’d get. Or the regular GR07. I’m looking for a direct upgrade to the GR07 Bass Edition. I thought about side grading with an RHA IEM or similar but I like almost everything about the GR07 (I would prefer a little more bass) so I decided an upgrade would be a better idea. As a side note, I much prefer listening to them with the biflange tips and the others tips (foams/hybrids/single) didn’t feel as good. Do you have any recommendations for a worthwhile upgrade? I’m interested primarily in universals, but customs are not out of the question. Having been asked this a couple of times, I’ve recently decided that the FLC Technologies FLC8 is probably the best bet for the moment: https://theheadphonelist.com/headphone-list/#comment-118366 . Your question throws in the bass level of the GR07 BE (usually people are coming from a regular GR07), but in this case that doesn’t change my answer. Someone actually purchased the FLC8 as a GR07 upgrade recently and posted some feedback here: https://theheadphonelist.com/headphone_review/flc-technology-flc8/#comment-118422 . Not sure which bass configuration was used there but they can beat the GR07 BE in overall bass emphasis with the bass ports. Wow, the FLC8 look like a fantastic upgrade. Thank you for the reply and the review! Hi. Could you recommend some full-size headphones with the same sound signature as the Gr07 / Gr07 BE? I love the Gr07, but also want more soundstage of a full size and avoid the hassle of having to find the right ear tips. I haven’t tried many of the newest full-size cans on the market but my usual answer to this is the classic Beyerdynamic DT880/600. Very nice cans that have many of the same strengths as the GR07 – linear but definitely not underpowered bass, crisp and prominent treble, good clarity, near-neutral tonality, etc. Thanks, but I forgot to tell you that I’d prefer a low impedance headphone for easy use with portable devices. And my budget is around $250. I’ve read on Head Fi that Fidelio X2, HE-400i and AKG K712 might be closest matches. What do you think? I don’t have any experience with those cans, unfortunately. I am a fan of the Fidelio L2 but those are open-back and rather bulky. I guess out of what I’ve tried the AKG K551 would be decent as a semi-portable, closed-back, full-size GR07 match, but there are probably newer and better options. Thanks for your opinion. I’ll check them out. From personal experience, the NAD Viso HP50 is essentially a full-size equivalent of the GR07 BE in terms of sound signature. From extrapolation using the graphs and reviews at Innerfidelity, I can predict that the Audio-Technica ATH-MSR7 would be a good full-size equivalent of the regular GR07. If you need a full-size open back can, the Philips Fidelio X2 would be the equivalent of the GR07 BE. If you really enjoy the VSD3S’s sound signature, the GR07 BE is pretty much you only option for an upgrade in this price bracket. As you’re expecting it’s not a huge upgrade, but then the VSD3S is so good already that nothing will be. If, on the other hand, there are some things about the VSD3S’s tuning you’d want to change significantly (e.g. more bass, smoother treble etc), there may be better options out there for you than the GR07 BE. So as you know I purchased the GR07 BE in China and I’m very happy with them. However, they did not come with any of the hybrid tips. I’m having difficulty getting a consistent seal with the supplied tips. What tips would you recommend I look for to improve the seal and sound quality? Aftermarket tips on the GR07s have always been a bit of a challenge to me because the nozzle, with that sharp “lip”, is sort of in between sizes. I cannibalized the tips from my meelectronics A151 (which are sized for a smaller nozzle, but stretchy). Even though they are still silicone, they gave me a better seal than the stock tips. You can also find some tips on ebay that are advertised as foams that fit the GR07: http://ebay.to/1KKbazw . Haven’t tried these myself but they look similar to the stock foam tips, which are decent enough. One last thing I can recommend is throwing this question up in one of the long GR07 threads on Head-Fi to see what else people have found that fits and is easy to get your hands on. my budget is 150$, So what do you suggest me? Besides other versions of the GR07 and the other VSonic models (VSD3S, etc), the closest thing for GR07-like sound in that price range is probably the Philips Fidelio S2. Very different form factor on those, though – large housings, shallower cable-down fit, flat cable, etc. About warranty, I bought the gr07 from ebay and I did not know who to turn to for help about my gr07, but it to late for me because my warranty canceled because I tried to fix my gr07. Someone else suggest to buy MA750i- what do you think about them ? I’ve read a ton of your reviews, and I’ve decided to get an entry level pair of IEMs – I decided to hang up my cans, as they’re huge, and unwieldy on the daily commute. Based on what everyone has said, the GR07BE seems like a great choice, but I was also told to consider the ATHIM70 and ATHIM02 – would you happen to have any experience with the latter 2, and if so, how do they compare with the GR07BE? No, unfortunately I haven’t tried those two. Joker would u recommend the gr07 or gr07be for drummers iem? Monitoring Drums, click, and band. I purchased a pair of ma750i and the midrange has no clarity. Or any other iems in the $150 range. Yeah, these should do it, especially if you want that over-the-ear in-ear monitor form factor. Normally I’d recommend the GR07 Classic for stage/studio use because it’s less expensive and even more accurate, but the difference in clarity is negligible so if you’d rather have the bit of extra bass and don’t mind paying a few bucks extra, by all means go for the Bass Edition. Joker, could you please compare VSonic GR07 BE with Bose IE2? Actually I am using these Bose headphones from a long time and I really love its sound. But now I want to purchase another headphone with similar sound stage. Please help me to find one earphone with similar sound stage like bose. Thanks in advance. Unfortunately I don’t have an IE2. I have tried the old Bose IE and it had a significantly different sound from the GR07 – warmer, smoother, and generally not as crisp and clear. 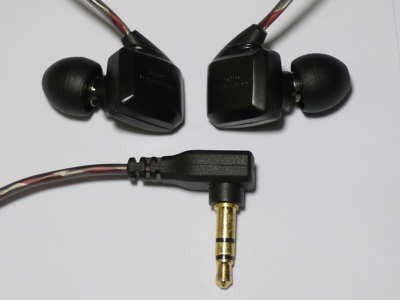 The IE2 has a pretty unique form factor – vented and what we call “half in-ear” so it may help to consider a more similar model for your upgrade. The Philips Fidelio S2 has comparable sound to the GR07 BE but has a form factor more similar to your Bose, so it may be worth looking into. Hi ljokerl, I’ve heard that Vsonic cut ties with Sony, or visa versa. Can you confirm this? I would imagine that the sound quality must differ if this is true. The new GR07 Classic doesn’t really sound worse than the original GR07, so I don’t think there’s much to this rumor. Hey joker, as a previous user of Gr07 BE I really like it bass is lacking is not a problem but sibilance sometimes irritating on some songs. I’m between choosing RHA MA750i , Sennheiser Momentum In ear or another pair which one would you recommend? Or anything else different I listed. Thanks! Also I forgot to address, my sources will be LG G2 and Ipod Shuffle 5th Gen. I’ll be using for daily use and running so weight is kind of a problem for me. How is Rha MA750i’s cable weight? The MA750i is on the heavy side (but worn over-the-ear which supports the weight somewhat). The Momentum is definitely lighter. Both have more bass and less sibilance than the GR07 so they fit your requirements there. I tend to prefer the RHA for sound. Hi Joker – I thought the Atrio Future Sonics sounded great when I used a co-worker’s. Since I could no longer find them, I bout these GR07BE. Wondering your thoughts/comparisons on the two? As a fidelity-oriented earphone I consider the GR07 BE to be better overall – it’s more clear, more neutral, more accurate – but they are tuned differently so it might not be fair to judge them on balance and clarity. The Atrio is a basshead earphone whereas the GR07 is a balanced one with a mild bass boost. There were several versions of the Atrios but all of them had more bass than the VSonics, especially deep bass. The latest (MG7) version had pretty good presence in the upper midrange as well but still rolled off a little in the treble for a darker sound compared to the VSonics, which are flatter overall. Hi ljokerl, which one would you recommend, between gr07 and rha ma750? Thanks in advanced! Both, or either – really depends on what you want from your earphones. Something bassier, warmer, and more smooth – MA750. More balanced, brighter, and more accurate – GR07/GR07 Bass Edition. Joker – Between the GR07 BE, IE8 and SE215, which would you recommend for bass? I’ll be using them for commuting alongside a iBasso DZero. Thanks! For bass – the IE8. Despite the name, the GR07 BE has the least bass of the three you’re considering. I also recommend the Yamaha EPH-100 for bass quite often. It’s a great value. Thanks bro love your work. Thank you for your review. Could you recommend a portable DAC around the $200 and less range that would pair well with the GR07BE? The GR07s are extremely consistent between sources. If you’re just trying to avoid using built-in hardware, an inexpensive one like the Fiio E07k works fine. Thanks. My closest input, within reach, where I use my computer is a USB port. Fair enough – I use DACs at home and at work as well, just inexpensive ones with transparent sound. They’re really very close to each other in sound. If you’re not sure what you want, but don’t mind a bit of bass boost, I tend to think of the BE as the safer option. The signature of the K550 is the most similar to my ears, but quality-wise the RE-400 is up there as well. It just has a more mid-centric tuning. I plan to post some KC06 impressions in a week or two once I’ve spent more time with it but at this point I don’t see myself putting it above the GR07 or RE-400. It’s got more of a flavor/coloration to it, with strong mids, bright treble, and a bit of bass roll-off. It’s a good earphone, but fans of the RE-400 (for example) will probably find it too colored, and vice versa. Yes, I’ll include relevant comparisons. Hi Joker! How is the quantity of the GR07 bass edition vs the SE215s? The 215s were unfortunately too strong in the bass department for my tastes, so I wonder how the gr07s do since I’m thinking of possibly getting them. Thanks in advance, and have a great day! It does make sense to go for a GR07BE in this case as it’s more balanced and accurate than the SE215. Bass is not as enhanced on the VSonics as it is on the Shures, maybe by 5dB or so. Have you also considered just a plain GR07? The difference in bass between the GR07 and GR07 BE is small but if you add that to the difference between the GR07BE and SE215 you get a more noticeable change. Joker, how would you compare the SE535s to the GR07s, should price not be a consideration? In terms of isolation, bass, mids and treble etc. Are they really close? Soundstage, durability and imaging as well, forgot about those, sorry! They’re pretty evenly matched in sound performance but the SE535 will be more durable and better-isolating. Sound signatures are different – the GR07s (both regular ones and BEs) are more v-shaped, with a bit of extra bass punch and brighter treble. The Shures are more mid-focused, with very smooth treble and prominent mids. I would give the nod to the GR07 in bass quality as well as quantity, but the SE535 has better mids. Treble is a toss-up – the SE535 is a little too smooth for me while the GR07 could stand to be more smooth. GR07 has a wide soundstage but sounds a little flat whereas the Shures have good imaging. Hi Joker, I mostly use IEMs with my phone and without amping (for convenience), at the moment I have a pair of JVC FXT90s which I bought from reading your blog, (which I think is really useful). How would you compare these vsonic gr07 be to the JVC FXT90s? Would I need to use a portable amp to get the best out of the vsonics? With amps, I’m considering using the fiio e06 just as a little booster, if an amp will be required will the fiio do the job? GR07s are fine without amplification. Compared to the FXT90s the GR07 BEs have less bass quantity and sustainment, i.e. are tighter and quicker. The bass is still punchy, just not as powerful as with the enhanced-bass JVCs. VSonics are clearer and flatter overall. Tonally they are not as warm as the FXT90s. Presentation is more laid-back on the VSonics but the FXT90 has a little more depth. Hi joker! Just how much more bass does this have compared to the regular gr07 model? is it less than xiaomi pistons 2 and mh1c? i used to like bassy iems but this time as a step up, im thinking about getting my first BA iem. something more neutral and more musical, probably something that will show beautiful lush mids on the recordings, with very good detail, with emphasis to voice, and with ok to good soundstage. I listen mostly to billboard stuff and some instrumentals, and I don’t listen to rock. Im looking into Yamaha eph-100 as well but I worry that this might be too bassy for me again. how does it compare to gr07 BE? or should I just spend a bit more for a portable can like ath-m50? Only a little more bass compared to the regular GR07; still quite a bit less than a Piston, MH1C, or EPH-100. It’s pretty neutral but definitely not a BA. GR07s (whether regular or Bass Edition) are a good option if you want to try something neutral without committing to a more analytical BA-based earphone (i.e. move towards a more neutral sound without jumping off the deep end). Is GR07BE a worth upgrade for Senn IE8 owner? If not, what would you recommend as an upgrade with similar signature (maybe more clear and fast)? The IE8 is bassier than the GR07 BE and a lot less bright. Not exactly the same sound signature from the VSonics, but a decent upgrade nonetheless if you want fast and clear. The ~$200 Dunu DN-1000 might be another option with bass quantity greater than you get on the GR07 BE. Its bass is pretty fast and clarity is good. Is T-PEOS Altone 200 a good alternative to all of the mentioned earphones above? I am looking for more crisp & good microdetail sound (like multi-BA drivers have), yet it should have mids similar to Vsonic and good low frequency definition (I don’t need so much lows as in IE8, but I prefer well defined ones as in GR07BE). Altone 200 are almost half the price of Dunu 1k and there is some hype around them, so I am not sure if they are good for me (and for my DX90). Thank you very much for your valuable feedback! The Altone200 definitely does all that and is a great value but it’s even more of a step away from the IE8 sound signature than the DN-1000 or GR07 BE, which are a little warmer and more full-bodied (more IE8-like) than the Altone200. How does the gr07BE compare to the westone 2? The W2 is more of a reference signature – flatter bass (less quantity/mid-bass boost), no midrange recession, smoother and less energetic treble. It sounds more like a TDK BA200 than a GR07 or GR07 BE. Thanks /joker/ appreciate your work. A bit off topic but could you suggest other iem’s around $100 or less with the same sound signature as the w2? RE-400 from HiFiMan is probably your best bet at $100. Joker, could you please compare VSonic GR07 BE with UE TF10? They aren’t too different- biggest differences will be the greater impact of the GR07BE and its mids being less recessed on the whole. If you like the TF10 you’ll probably like the GR07 BE, and vice versa. Price Update: Clearance Sale @Lendmeurears. Now selling for $130 USD !!! The Headphone List was created to help visitors select the best portable audio products for their needs by featuring the most comprehensive collection of headphone reviews published in an interactive, dynamic format. In addition to product reviews across multiple categories, the site is home to numerous abridged buyers guides, deal alerts, and other useful info, all written by audio enthusiasts with vast experience evaluating audio gear. There is still a long ways to go before the site has all of its the intended features and content, so keep checking back to see what’s new!